Where do I change phrase XYZ? Sometimes you might want to change some phrases in WPJobBoard, one way to do it is to find the phrase in WPJB template files (wpjobboard/templates/ directory), but the recommended method is to do kind-of-English to English translation of course only for phrases you want to change. While it is a bit complicated, this method allows translating phrases without modifying any of original files, meaning that you can update WPJB later without worrying about loosing your custom changes. In order to do the translation itself, we recommend using Say What? 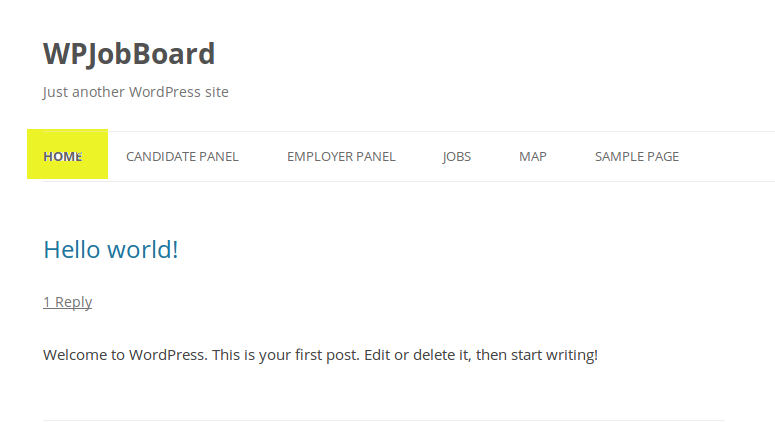 plugin, it allows to quickly customize phrases directly from the wp-admin panel. 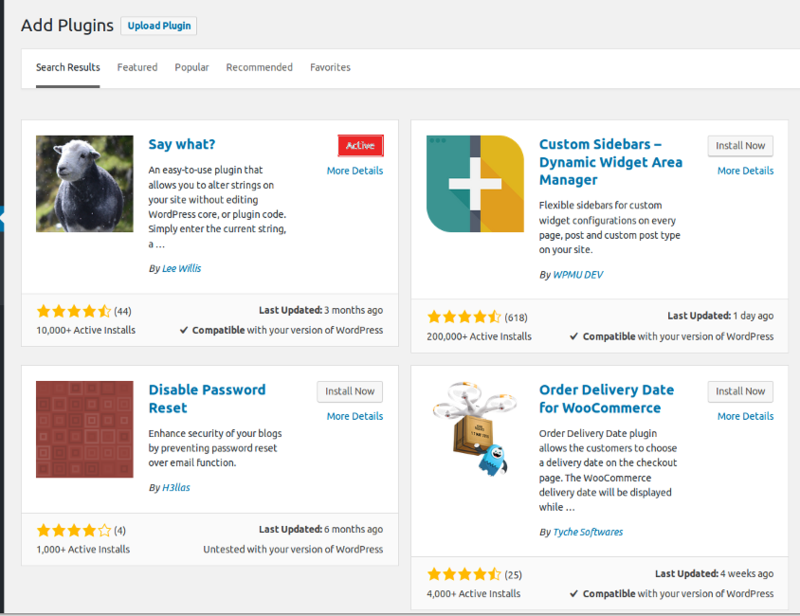 I show you how to install and use plugin Say What? on WPJB. First, go to wp-admin / Plugins / Add New and write in search “Say What?” Click Install next to “Say What?” plugin, wait for the plugin to install and click Activate. Before we start there are two things to keep in mind. You can either guess, or check out the plugin in question’s source code, translatable strings are generally wrapped in __(), _e(), _n(), or _x(). Ok, now we try to translate some words. Let’s try to change page home on menu site. 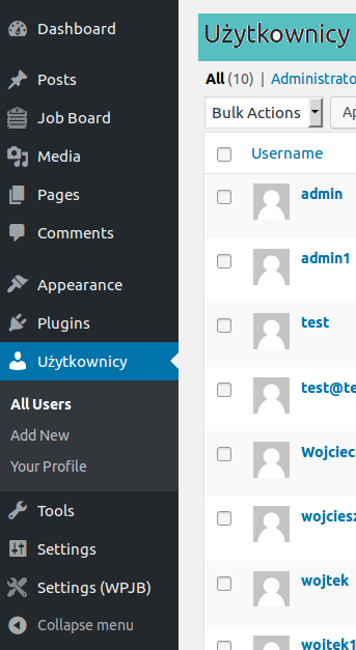 Now we will try to change it, go to wp-admin / Tools / Text changes and Add new and we should see the below. In the original string, you must write word who you want to change so write “Home” Text Domain / Text context we can leave empty. 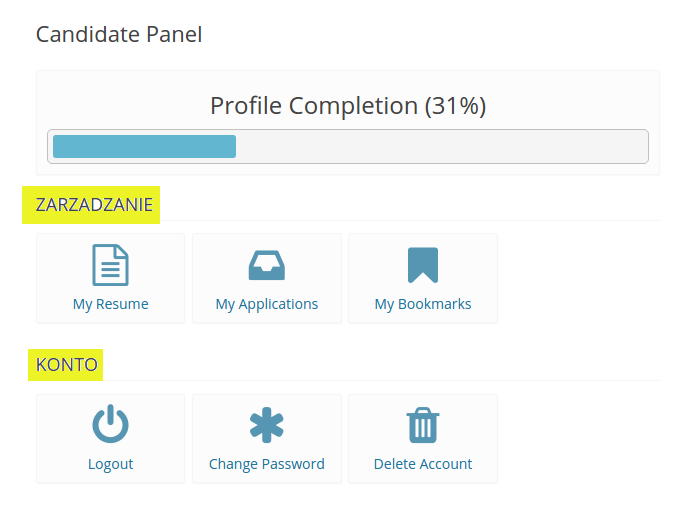 And if we make it and click the button “Add” we change. This like this. Now I change example some page for shows you what where more you can make it. 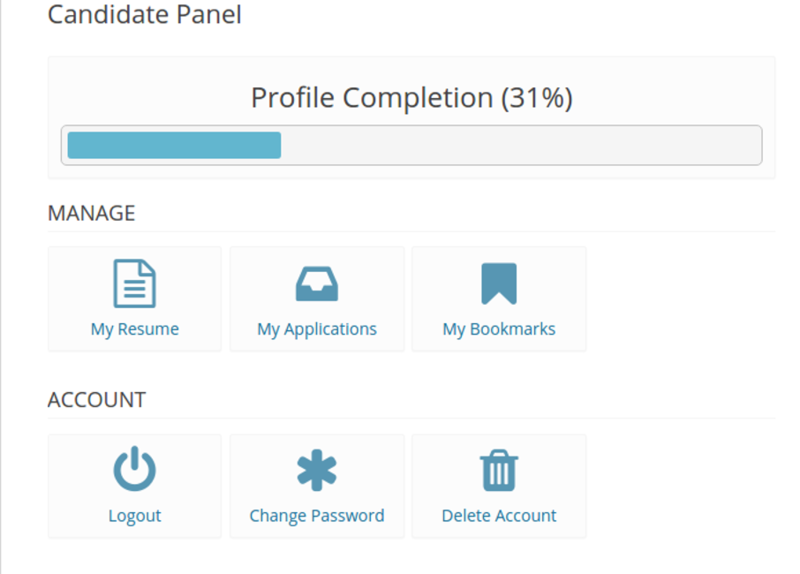 Now we can try to make changes in candidate and employers panel. We will change 2 words “Manage” and “Account”. 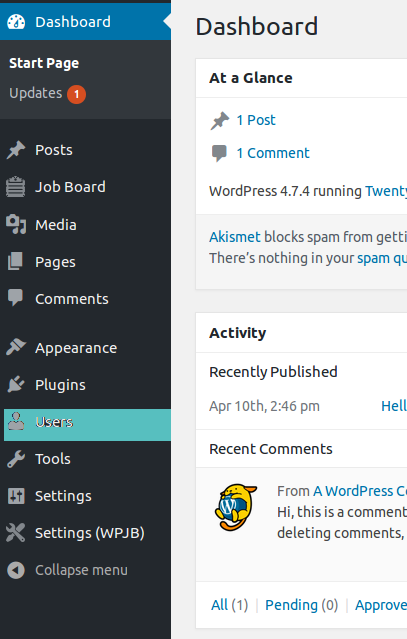 Again go to wp-admin / Tools / Text changes and change the phrases as previously. Are edits made to SETTINGS (WPJB) > E-MAIL TEMPLATES safe when applying updates? Yes, on update the Email Templates will NOT be overwritten.